Great freebie synthedit created synth from a guy called Chris Gill.... SUPER WAVE P8 is a 2 osc' synth, with a dedicated filter, filter-envelope and amp envelope for each osc' with selectable osc' waves from sine thru to square & noise, including a sort of super-saw osc' which features 7 tuning controls to create fat JP style saw sounds!... just get it downloaded & use it cos it's free & sounds phenomenal!!.... We'll add a proper review soon... meantime, any user comments?... feel free to add some. The is a superb synthesizer, and every bit as good as anything i produced by Roland, Korg, etc. Had I payed $100 for this, I would not be complaining. 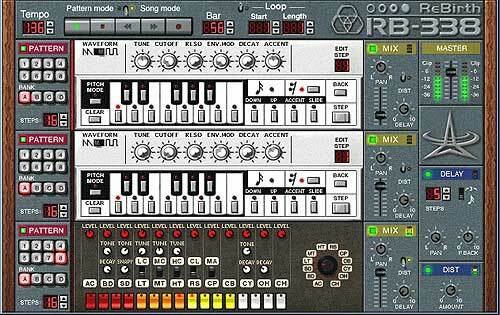 Some great presets too. Thanx for a superb synth Chris! I've been playing around with this and all power to Chris it sounds great - as good if not better than a lot of commercial stuff I've heard. Quite high CPU Useage but very impressive stuff! Nice one. Any others in my situation/anyone know what's going on? Okay, nevermind. It worked this time. It was probably a fluke caused by my adorably quirky PC running the world's most screwed copy of Win 98.
yes it is, check the link properly - there's a new one, but the old one is still free. I�ll be back with a comment. Thanks for your product & could you please send this product to me by mail? I am from India Bible college student who is maniac with the music composition. WHOAH!-- This is FREE? I'd gotten this synth through a friend sometime back, and I just fell in love with it; I had no idea it was free, so to hear this it blows my mind! Kudos to Chris Gill or whoever designed it and put it out there. Definitely check this one out, it's simple and has some great presets. 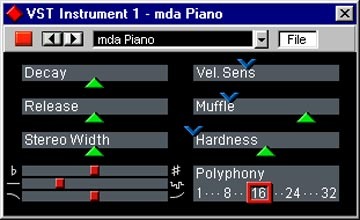 I wanted to download this synth but cant find the link? 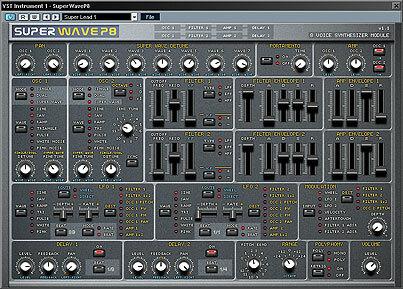 You can now download the SuperWave P8 from SuperWaveSynths, web address above. Also look out for the SuperWave P80 released soon which kicks out more punch than the P8, much more control over Oscillators, 2 built in step sequencers and phrase arpeggiator.